Do it differently for weddings, be a leader not a follower, everybody and their aunty arrives at their wedding venue in a limo – yawn – but you can make a statement at yours! 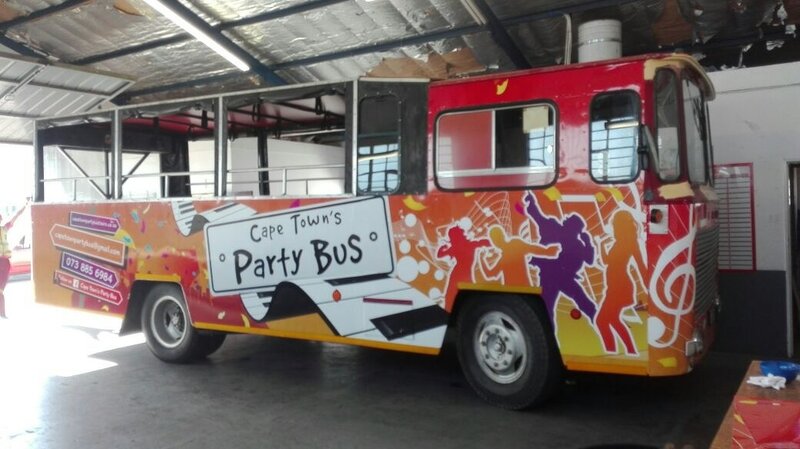 ​Hire our funky party bus with stunning sound system and dazzling lighting to make your arrival stand out, adorn it with balloons and ribbons if you wish to add a bit of the traditional style but not much will detract from the fact that you will be one snazzy couple! 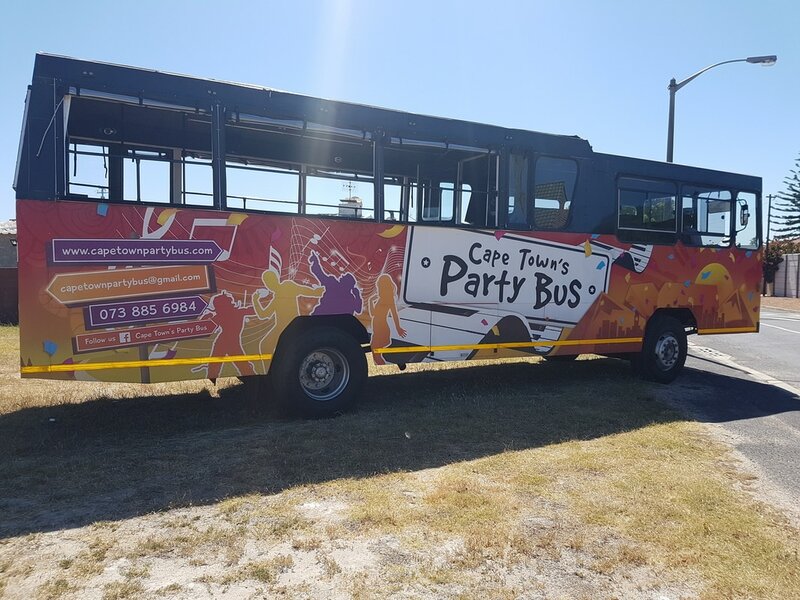 If you do tend to lean to the alternative side of life, prefer to dance to the tune of your own drummer or simply just don’t dig the dyed in the wool old ways, our mini party bus is for you. Getting married on a beach - we will get you there, a mountain top - we will take you there, a disco dance floor – we will deliver you there. 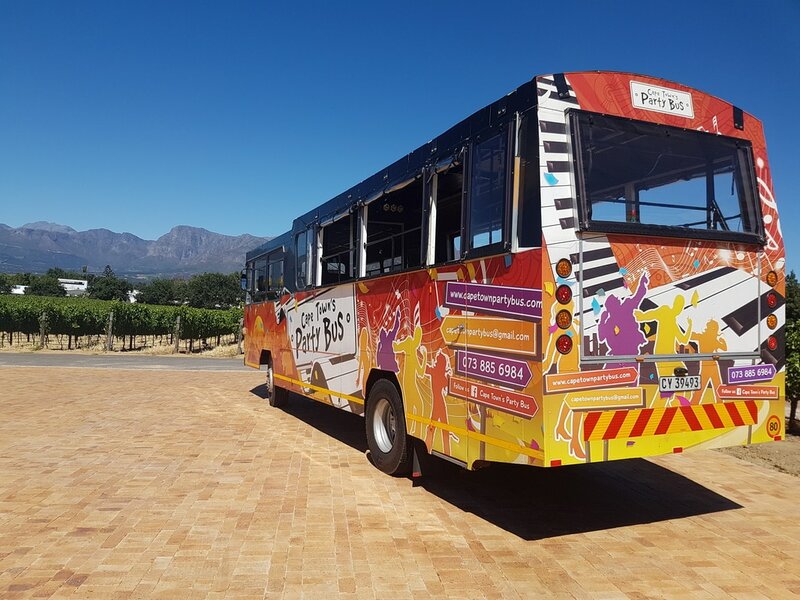 A restaurant, a wine farm or even under a windmill, we will get you and your bridal party there in fabulous funky style! Or if you are a traditionalist and just have to have that wedding day limo ride you have always fantasized about then of course you must, we do not begrudge you that for a single moment...but what about the rest of your wedding party, those special aunties, uncles, cousins and friends that are near and dear to you? You don’t want them arriving in drips and drabs in a motley collection of uncoordinated vehicles, let them too enjoy the freedom and comfort of being chauffeur driven on your special day. 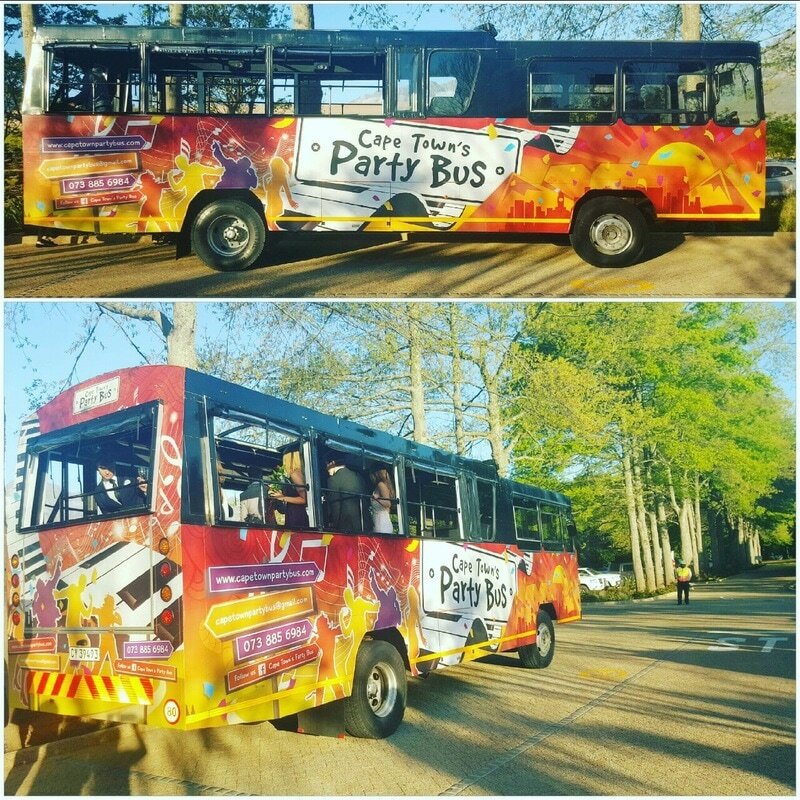 Affordable, practical and hassle free, you can trust our party bus to get them to the church to time!